The star of Thanksgiving may be the food, but the finishing touches are what bring it all together. From a sophisticated setting to drinks your guests will be thankful for, our simple steps will help transform your table from dull to dazzling. 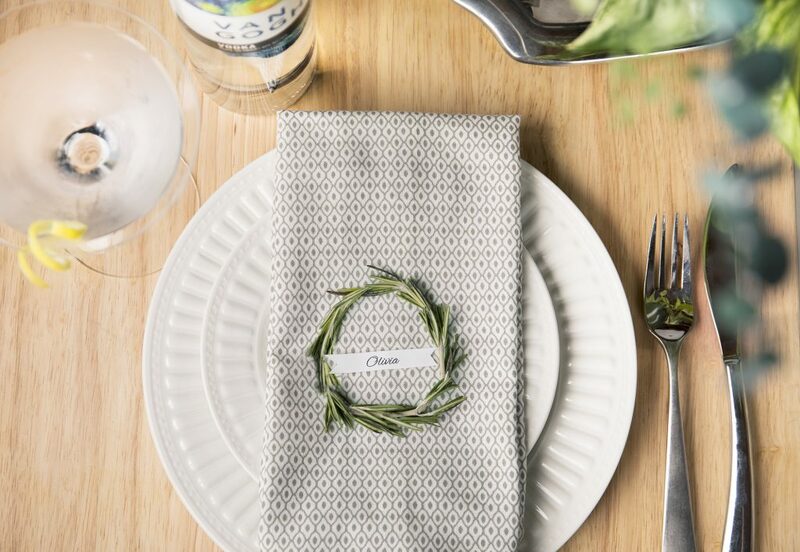 Your place setting doesn’t need to be elaborate to be memorable. Start with a neutral patterned napkin for an elegant backdrop. Then print out your guests name for a personalized touch. Top it off with a miniature wreath made of rosemary for an unexpected, yet natural design. Thanksgiving is incomplete without a punchbowl to gather around. 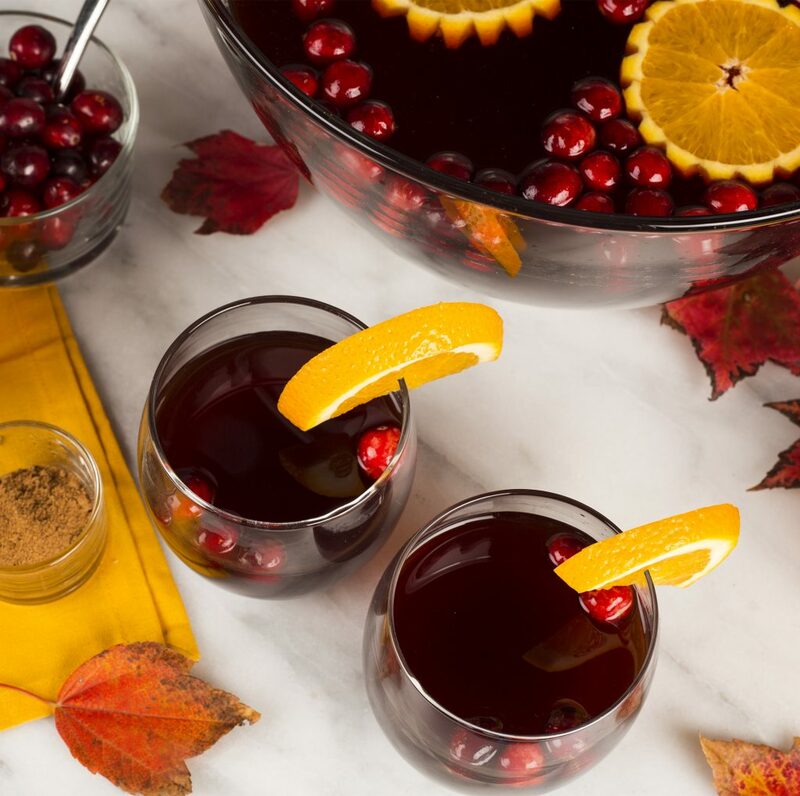 The Holland Holiday punch packs bold flavor with only a few ingredients. Our signature Van Gogh Pomegranate goes through an all-natural, double-infusion process that gives it a subtly sweet, slightly tart flavor perfect for fall. Add all ingredients to a punch bowl with ice and stir well to chill and dilute. Garnish with cloven orange wheels. *Cranberry-honey mix: Add 2 cups fresh cranberries to a container and muddle with 1 cup honey and ½ cup warm water. 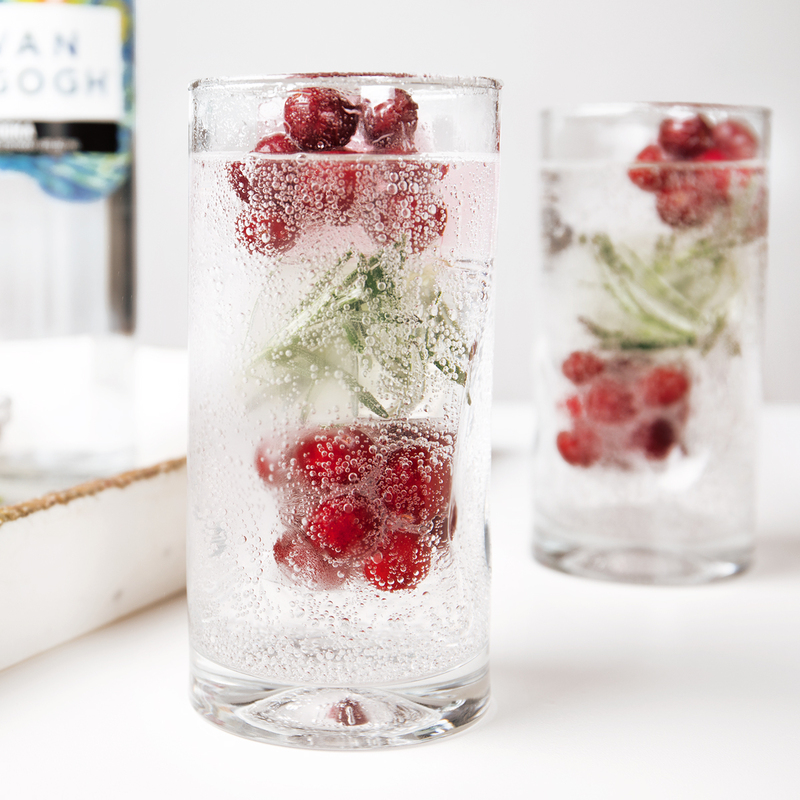 Be extra merry with cranberry rosemary ice. The delicious combination instantly adds holiday spirit to any cocktail. Fill ice cube tray a quarter of the way and place cranberries in some of the tray and rosemary in the other, then freeze. Once solid, fill the tray up the rest of the way with water and freeze again. 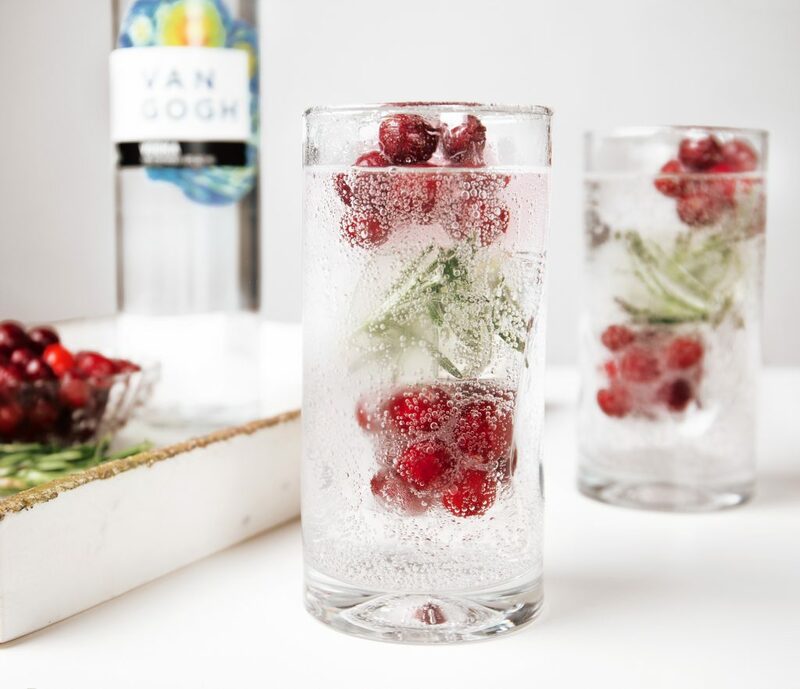 Enjoy with Van Gogh Vodka and tonic. Looking for more holiday spirit? Discover our DIY Holiday Bar.